It’s the end year 2018, and Clash of Clans is still among the top games on Android as well as in the iOS platform. 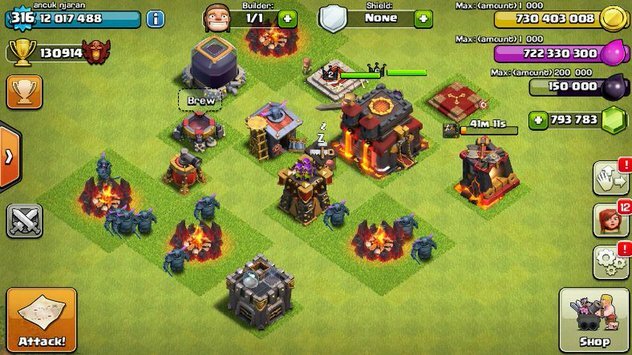 No wonder that new features and additions in the game attracts more and more player on daily basis and thus making Clash of Clans a very popular game. The popularity of COC also gave rise to private servers, where players can have unlimited gems, coins, elixir, max level heroes, fully maxed out Town Hall and much more. Private servers have recently gained a lot of popularity among the Clash of Clans players. Though, the main disadvantage of these private servers is that you cannot play with regular players of Clash of Clans, as they play on the regular official servers of Supercell. Though, it still not restrict users to try out the private servers. There are many private servers available right now on the internet and Clash of Souls is among the best with Town Hall 12 integration along with many additional features. Another alternative to Clash of Souls is Miro Clash, which also has a very large user base. You can download the latest version of Clash of Souls APK for Android from the link provided above. You can buy unlimited gems, elixir, gold, etc in the game with this modded version of Clash of Clans, of course in the private server. According to the developer of Clash of Souls, there are over 50,000 players per day in the server with whom you can battle with. Enabled the installation of applications via unknown sources, you can enable it by visiting “Settings > Security” and tick on unknown sources option. Now you can open the APK file that you have downloaded before, which will begin the installation process of Clash of Souls. That’s all. Open the game and enjoy unlimited resourses. Note: We are not affiliated with Supercell or Clash of Souls, we just provide information regarding the game and its features on the private server as provided by Clash of Souls.